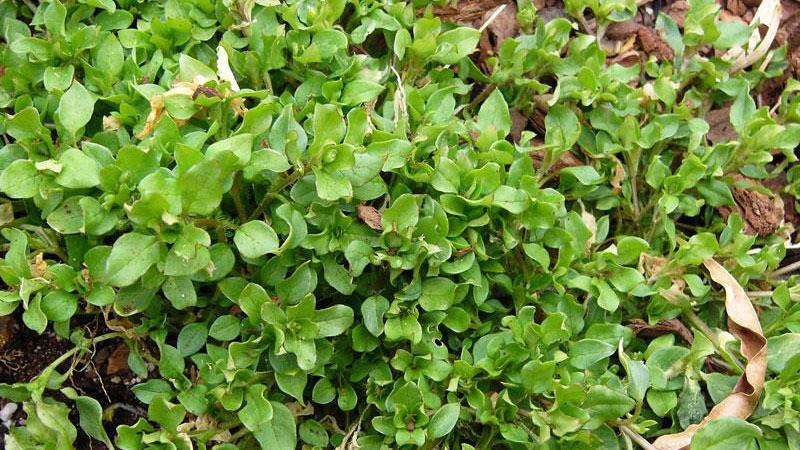 Common chickweed is a low-spreading winter annual or perennial weed with a weak, shallow root system. The prostrate stems often root at the nodes. 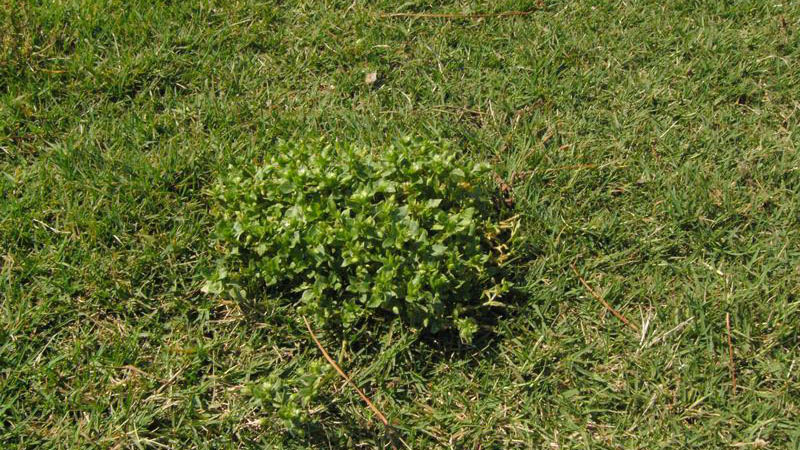 Its spreading growth covers adjacent turf and seriously impedes turf growth. 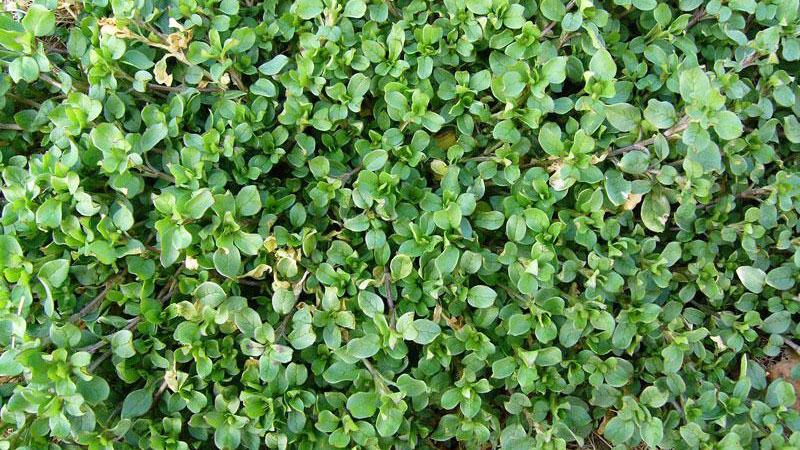 Chickweed often forms extensive, dense patches. Stems have vertical lines of hairs. 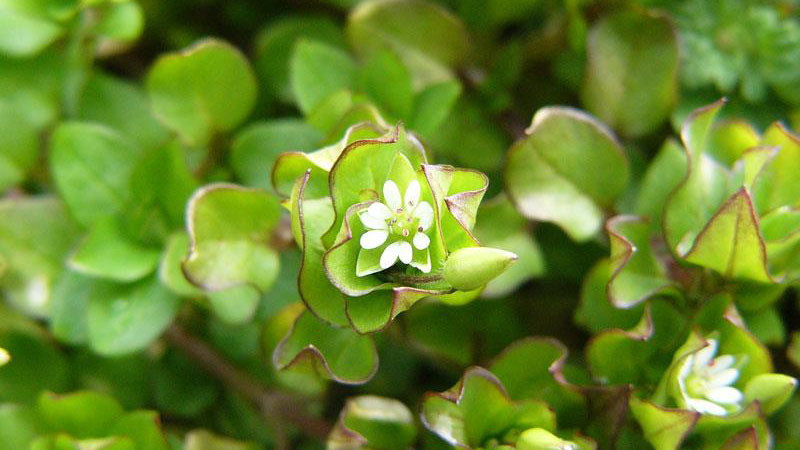 Small white flowers are borne in clusters at the end of the stems. Flowers have five deeply notched petals and, though small, are quite noticeable. 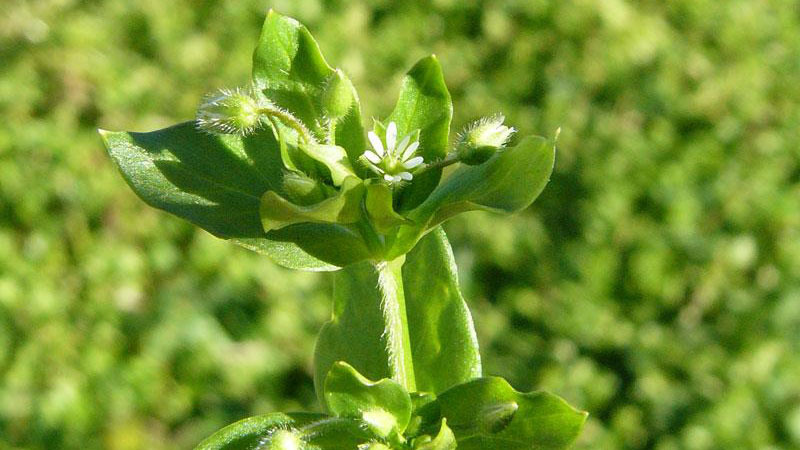 Common chickweed is similar in growth habit (spreading) and appearance to mouseear chickweed, but mouseear chickweed leaves are covered with soft hairs, and are dark green or gray-green, whereas common chickweed leaves are less hairy and are light green. Figure 1. 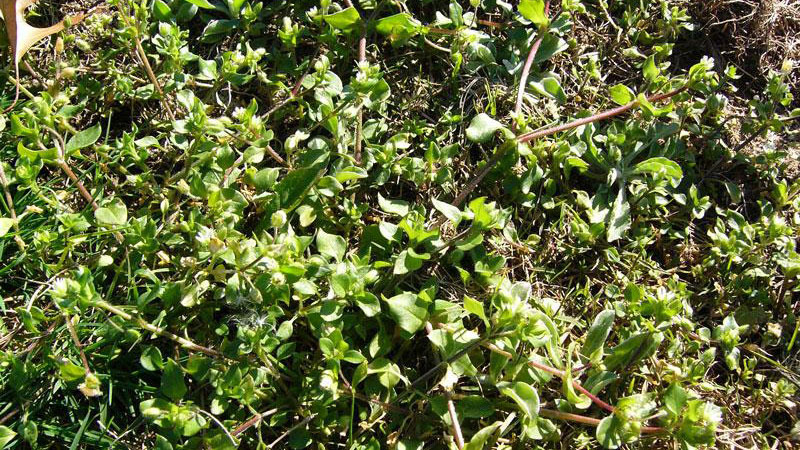 Common chickweed growth habit. Figure 2. 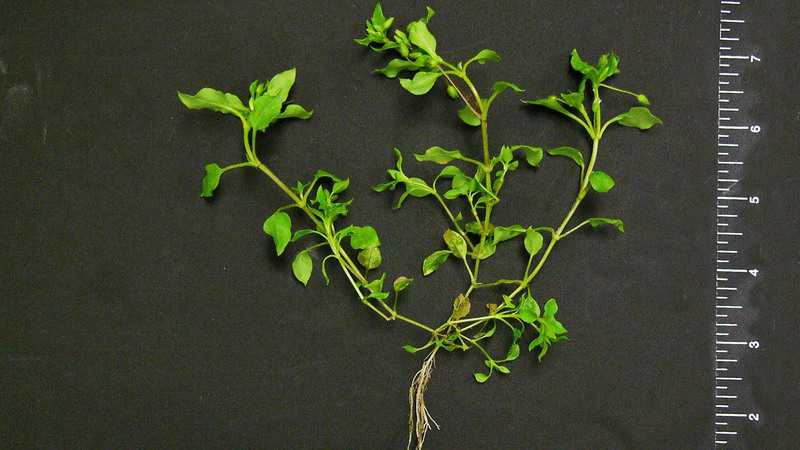 Common chickweed growth habit. Figure 3. 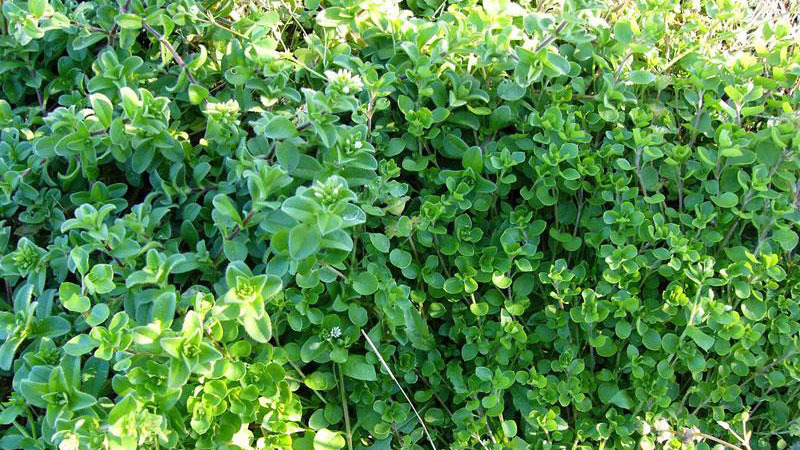 Common chickweed growth habit. Figure 4. 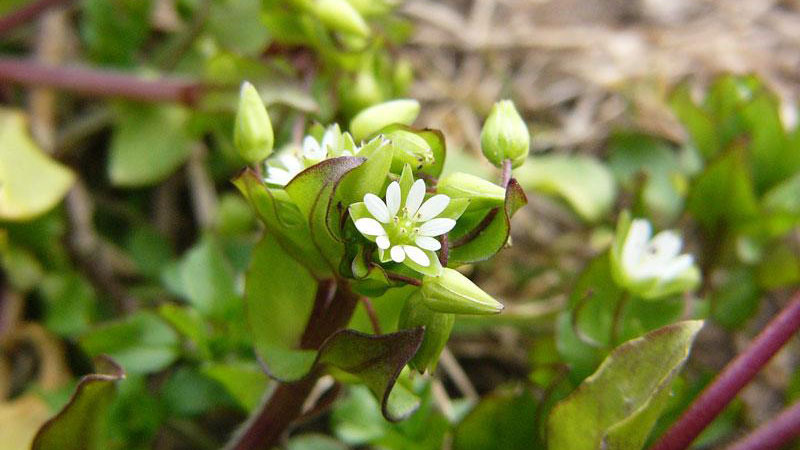 Common chickweed growth habit. Figure 5. 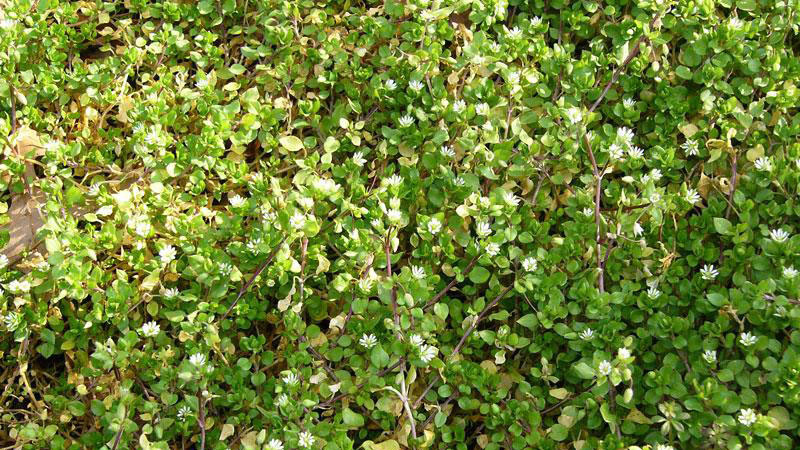 Common chickweed growth habit. Figure 6. 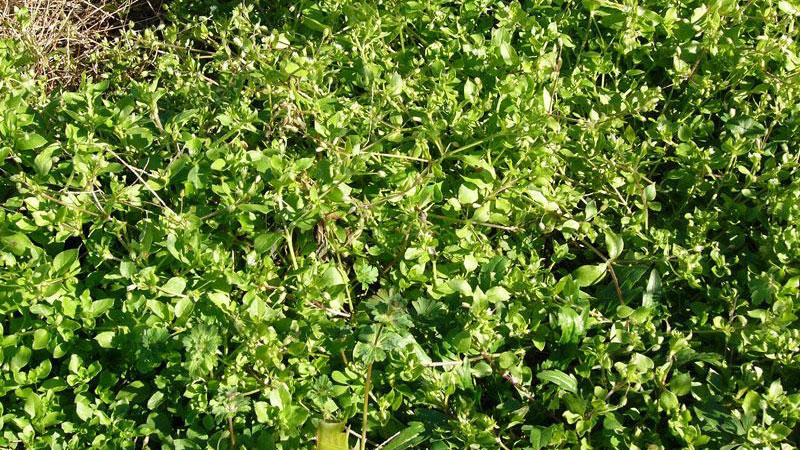 Common chickweed growth habit. Figure 7. 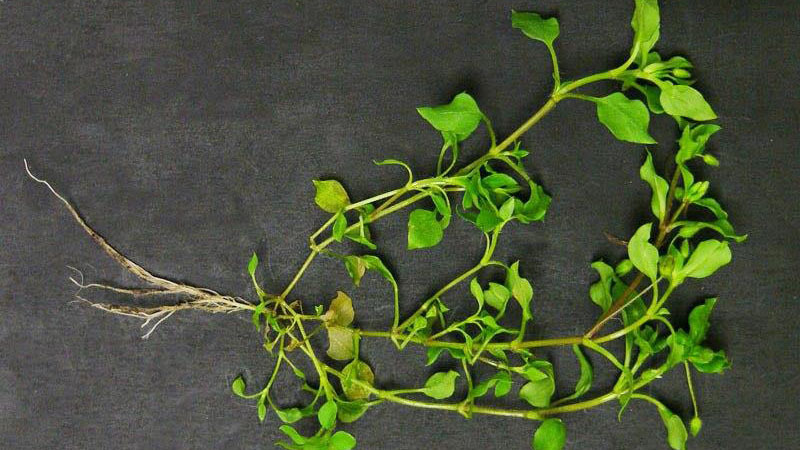 Common chickweed growth habit. Figure 8. 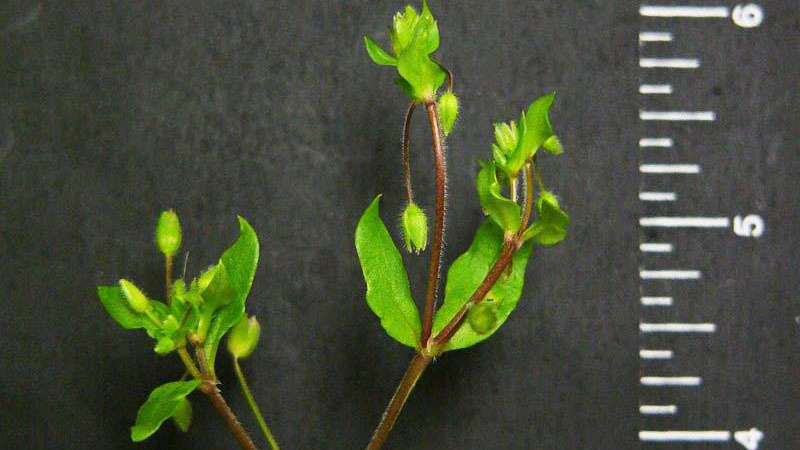 Common chickweed growth habit. Figure 9. 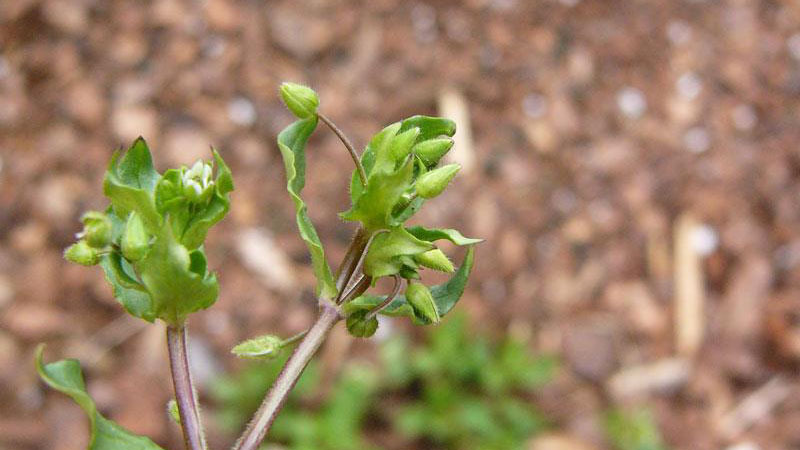 Common chickweed growth habit. Figure 10. 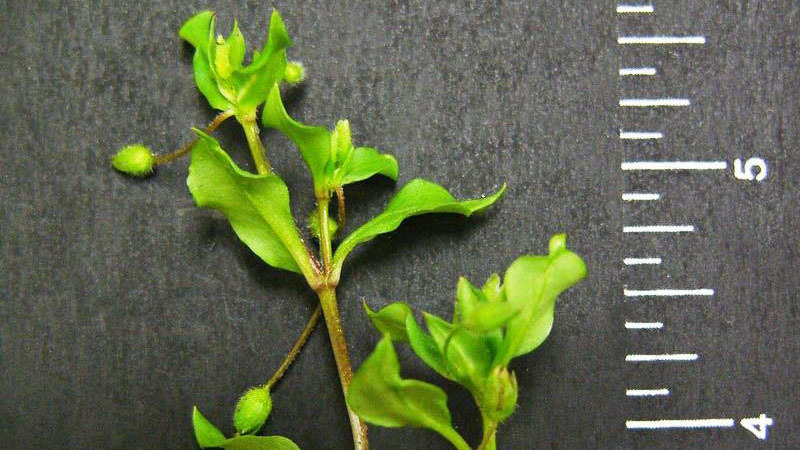 Common chickweed leaflet number. Figure 11. 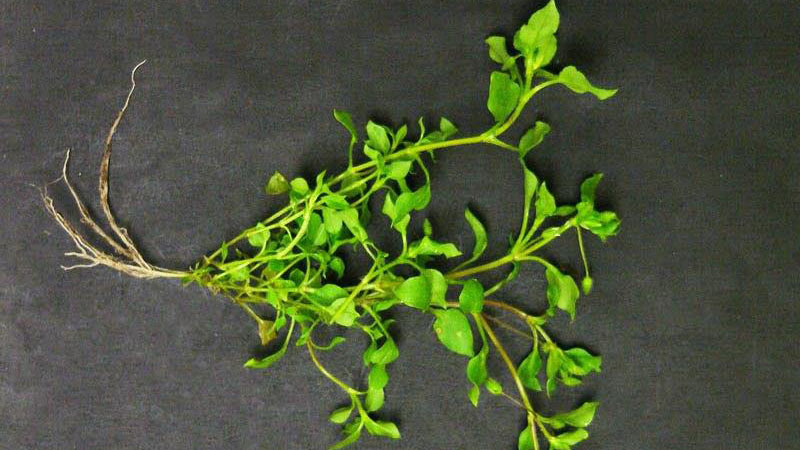 Common chickweed leaflet number. Figure 12. Common chickweed flower color. Figure 13. Common chickweed flower color. Figure 14. Common chickweed flower color. Figure 15. Common chickweed flower color. Figure 16. Common chickweed flower color.